De Centrale organizes 2 concerts on the occasion of Europalia , that focusses on Indonesia this year. We open with authentic Javanese gamelan of the gamelan orchestra Garasi Seni Benawa, under the direction of Rahayu Supanggah. The beautiful gamelan music from Java and Bali, where the gamelan is particularly popular, is likely to ring a bell to many people. Gamelan is the name for both the music style, the musical instruments and the orchestra itself. A gamelan orchestra consists mainly of percussion instruments - like drums of gongs and xylophones - string instruments and whistles. Since the 19th century there are also, especially female (pesindas), singing parties in the gamelan. The lyrics of the songs are written in an archaic or literary language, which makes it difficult for the Indonesians to understand. Originally, gamelan was only played at ritual ceremonies, wayang performances (shadow puppet game) and for noble families. Nowadays, gamelan is still used on traditional occasions, but also with modern more "secular" dance or theater performances. 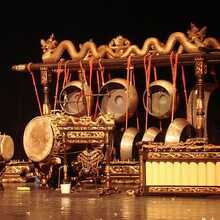 The Javanese gamelan music is characterized by slow, measured sounds. 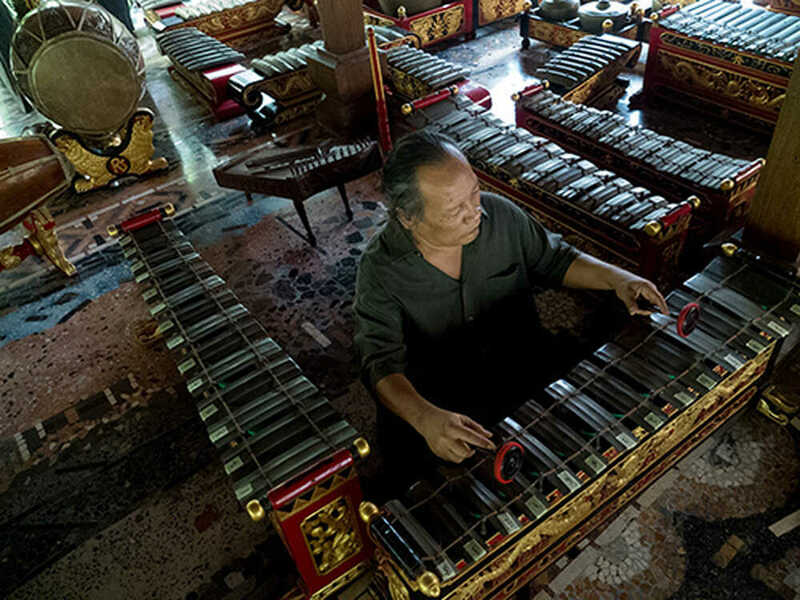 Balinese gamelan music has more shrill tones and more lively rhythms. 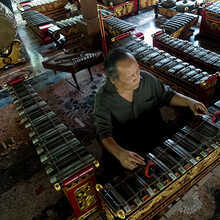 Rahayu Supanggah (° 1949) studied gamelan at the conservatory in Surakarta, where he completed his studies in 1972. Since then, he travels around the world to introduce Indonesian gamelan music to a wide audience. Rahayu Supanggah composed both popular and more contemporary gamelan music. He released several albums, including 'Cokekan, Javanese chamber music' (Felmay Records, IT). Supanggah also became known with the music he wrote for Garin Nugroho's film Opera Jawa. For this he won awards at the Asia-Pacific Film Festival, the Indonesian Film Festival, the Asia Film Awards, the SACEM Film Festival in Nantes and the Asian Film Festival in Hong Kong. During the season 2017-2018 you can compose your own seasonal ticket. Choose different concerts and compose your own *MIX. That way you can even enjoy a nice reduction. Do mind the *MIX label! Not all concerts are eligible!! On top of purchasing a *MIX-Seasonal ticket you will also receive a podiumhopper. By purchasing a seasonal ticket before the end of September,by the beginning of October you will receive a podiumhopper or 5 vouchers( under the shape of codes) of each €5. You will receive the codes by mail by the beginning of October. With these codes you can visit our cultural neighbours NTGent, Vooruit, De Bijloke, Handelsbeurs en Opera Ballet Gent. The codes can be used online or at the booking office of the participating houses. This can only be for tickets that you order in the month of October. You can of course make your choice of performances of the whole season.